After the recent announcement that Port Talbot venue Afan Lido leisure centre is to be almost-completely rebuilt following a fire there in December, the Lostprophets gig which was due to take place there at the beginning of March has naturally been moved. 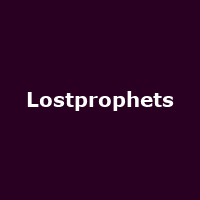 Onwards-and-upwards for fans of LostProphets, as those that purchased tickets for a leisure centre gig will now prophet (sorry) from an arena date in Cardiff at the CIA instead, with a new date of 1st May. It also means that there are now more tickets available, priced at £22.99 + booking fee. Tickets remain valid, but those wishing to obtain a refund can do so at their point of purchase. The Pontypridd boys were also recently added to the line-up of the newly-created Outside-in Festival 2010 in Gateshead for the end of the month, alongside The Courteeners, N-Dubz, Pixie Lott and many more.